At 360 we’ve been working with our Sherpa team in Nepal for many years and they are now firmly part of the 360 family. However, many of you won’t know very much about their personal lives. We liased with Nima – one of our Sherpa team, and asked him a few questions about what makes him tick, what his family life is like and a few of his personal thoughts, as well. This really does shed light on a completely diferent side of Sherpa life which many people won’t get to experience or see. 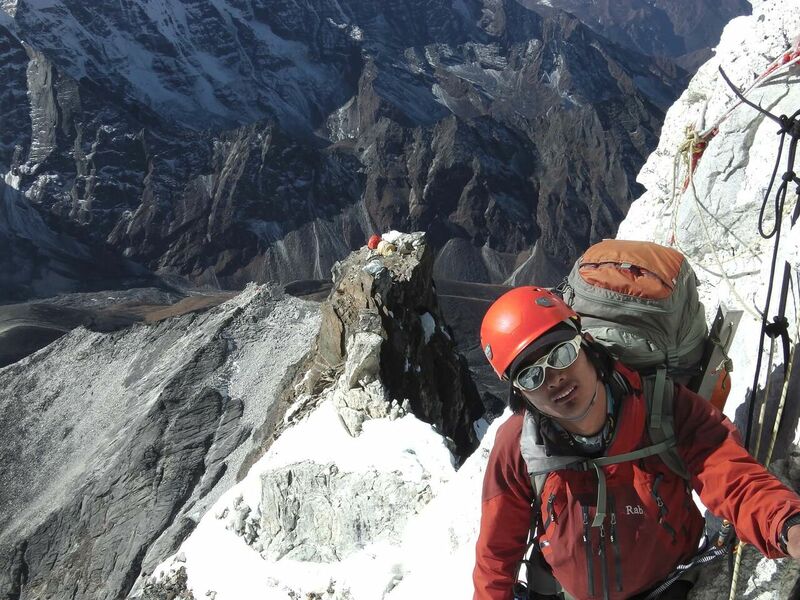 We interviewed Nima Sherpa who headed out recently and guided our Khumbu 3 Peaks team. I am from Solukhumbu but i’m currently staying at Kathmandu with my family. How was your village affected by the earthquake and how is it recovering? It was badly affected; most of the houses in my village were damaged or completly flattened. Luckily, nobody died in our village. What was your first mountain you climbed and what is your favourite peak? Island Peak was my first and this is still one favourite. Who have you worked with the longest? I’ve worked with Himalayan Guides on many mountains so I go where there’s great climbing. What is your best bit of kit you use on the mountain? A travel item you can’t do without? Resham Firiri… (can’t say we’ve heard of this band)! What’s your weirdest birthday present ever received? I think it has to be a mobile phone. I celebrated it with my family and friend and had a ‘normal’ party. Nothing over the top! Hardest physical challenge you have achieved? It had to be crossing Sherpani Col. which is near Makalu and is well above 6,000m. What would be your dream mountain to climb? If you were a cartoon who, what and why? Motu on Motu and Patlu, to make impossible possible. Which climber do you admire the most in the climbing world? Funniest moment on a mountain? The last day where we party with clients after finishing a climb. What would your dream job be if you could do anything? Before Nima could answer any more questions, he had shot off to another mountain to guide another bunch and adventurous people to a summit. Hopefully we’ll get some more questions answered when other Sherpas come back from the mountains. Thank you to Nima for sharing these insights.